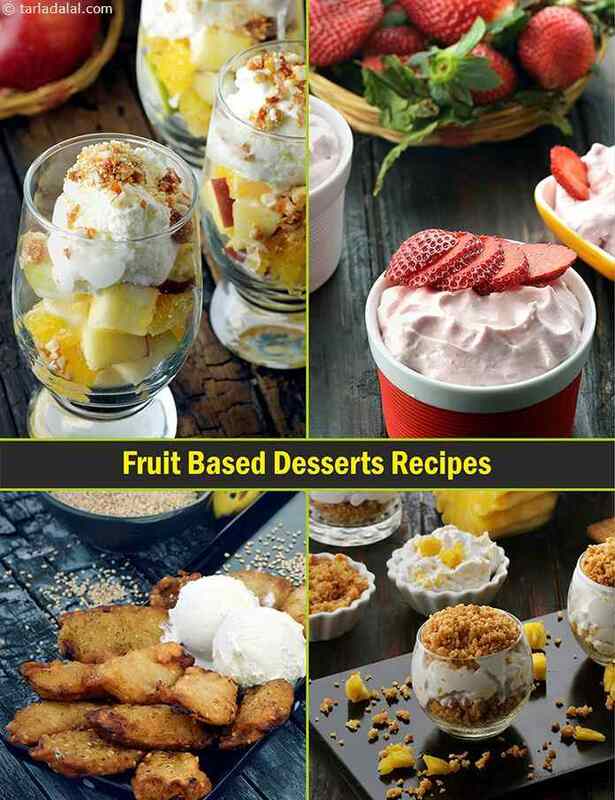 Fruits are naturally sweet and using them to make a dessert imparts their refreshing flavours and mild sweetness to the dessert. This makes Fruit-based Desserts a huge hit with almost everybody. Cheer yourself up with vibrant options like the Orange Sandesh , Apple Cinnamon Ice-cream and Chocolate Coated Strawberries . Avocado combined with molten dark chocolate, it gives rise to an intense Avocado Chocolate Mousse, which is just too irresistible. It is the perfect dessert to serve at the end of an elegant dinner menu. The Brownie and Strawberry Surprise, though ready in minutes, has an exotic touch about it and a creamy richness that pampers kids and adults alike. This dessert is so simple to make, when you have unexpected guest coming over, this desert is just perfect. . . .